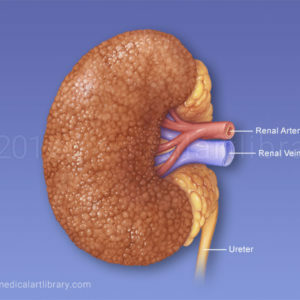 The kidney is composed of an inner medulla and an outer cortex surrounded by a tough fibrous capsule. 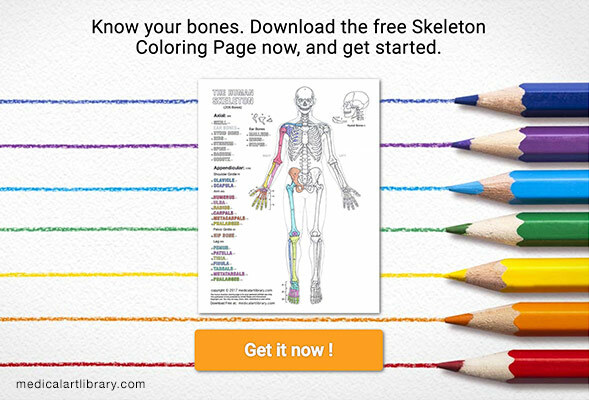 The medulla is composed of a series of conical masses called the renal pyramids. The apex of these pyramids form a papilla which projects into the lumen of the minor calyces. The cortex extends between these medullary pyramids as the renal columns (of Bertini). 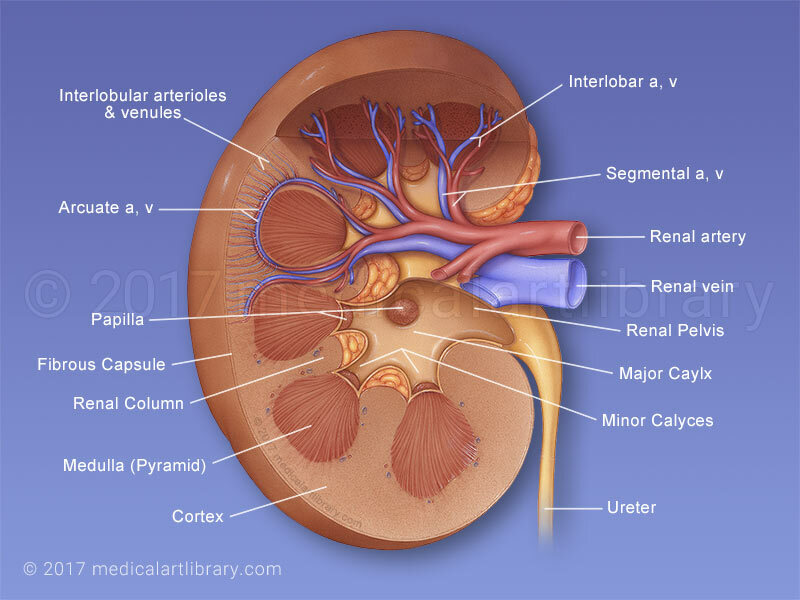 The minor calyces are cup shaped tubes which surround the renal papilla. 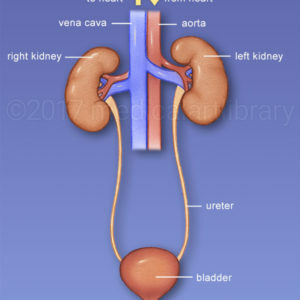 These converge to form the major calyces, which in turn unite to form the renal pelvis. 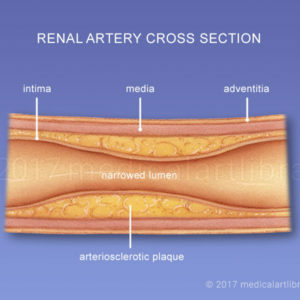 In this illustration the anterior division of the renal artery is shown dividing into the segmental and then interlobar arteries. These curve around the base of the pyramid as the arcuate arteries. From the arcuate arteries arise a series of branches called the interlobular arteries in the cortex of the kidney. The interlobular veins flow into the arcuate veins, the interlobar veins and then the renal vein.